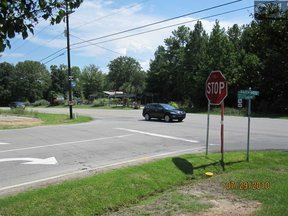 Fantastic commercial site with over 1,000 feet frontage on Dutch Fork Road (US#76) at new traffic signal. Water and sewer on site. Part of property is zoned General Commercial (GC), part Neighborhood Commercial (NC) & part Rural (RU). Directly across street from Shell Corner Pantry & Security Federal Savings Bank (2.0 acres purchased for over $800,000 over 10 years ago). Traffic Count Station #15 Average Daily Traffic was 20,800 in 2012 & appears to have increased substantially since! Property was appraised for $2,150,000 in 2014. Will sub-divide/price will depend on exact dimmensions of sub-divided lot.